We strive to provide the highest quality industrial roofing services to our clients. We offer the Greater Toronto Area professional industrial roof repairs, replacements, & recoveries. Click here to learn more. 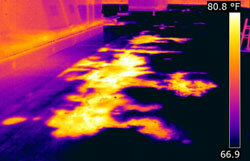 Thermographic roof scans allow our certified IR technicians to determine the exact areas of your flat roof that are damaged. 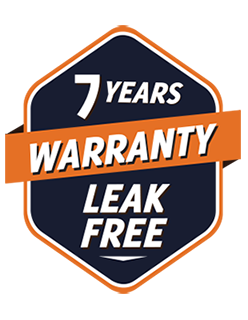 We are able to locate the true source of a leak and make necessary repairs - backed with a 7 year leak free warranty and 100% customer satisfaction. Click here to learn more. Scheduled flat roof maintenance and repairs can prolong the life of your roofing system, resulting in major savings associated with repairs to damaged interiors, production equipment, costs associated with paying for emergency repairs and prematurely replacing your flat roof. Click here to learn more. We install HVAC, packaged units, compressors, ducting, antennae, cameras and more. We minimize the overall impact on your roof during the installation process and ensure functionality and high-performance of your roof-top equipment. Click here to learn more. 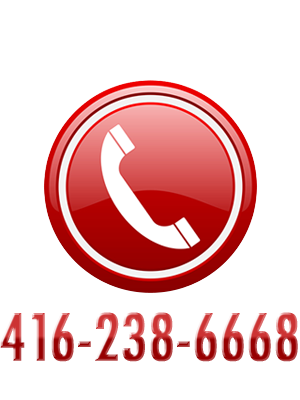 We stand by 24/7 to assist you and your business in case of any roofing emergencies. Our emergency response unit can be on site within an hour or less and will repair your leak on the spot. When time is critical, expertise makes all the difference. Click here to learn more. As a leading provider of commercial and industrial roofing services, Roof Scan.ca is the first flat roofing contractor in the Greater Toronto Area area to couple training in Thermography with years of flat roofing experience. We are among the most trusted industrial roofing companies with specialization in roof leak detection, flat roof repair, flat roof replacement and recovery on all types of flat roofing systems. We provide our clients with detailed written estimates and reports that cover all of your roofing options. In a push to provide the Greater Toronto Area with the highest quality commercial and industrial roofing services available, Roof Scan.ca has partnered with Roof Maintenance.ca, a leader in the Toronto roofing industry. With over 15 years of flat roofing experience and thousands of satisfied customers, Roof Scan.ca adds specialty infrared roofing experience to a team of highly trained roofing experts in flat roof leak repair, flat roof replacement, roof-top equipment installation, skylight services, and waterproofing. With the ability to accurately detect, repair and prevent all of your flat roofing moisture problems, Roof Scan.ca will take care of your leaking flat roof backed with a 7 year leak free warranty. Choosing us for your industrial roofing project means you are choosing a trusted Toronto roofing coontractor with years of industry experience, solid expertise, leading technology and competitive pricing. Have you ever had your industrial roof repaired more than once because the leak started again? Have you ever had production equipment damaged due to a leak on your flat roof? Have you ever had a leaking flat roof repaired but then the leak came from somewhere else? Don’t Settle for a Roofing Estimate... Know. Our experienced infrared technicians can spot moisture that is below the surface and invisible to the human eye. IR scanning technicians from Roof Scan.ca will save you time and money by repairing the right areas – the only areas that actually need repair. Commercial and industrial flat roof repairs by Roof Scan.ca are warranted because we know that we are successful at detecting trouble spots or the cause of your leaks with our thermal scan technology. The technology and expertise that our technicians bring to your flat roof takes away all guesswork. We will pinpoint your flat roofs trouble areas and let you know the severity, recency, and source. Many roofing estimates are done by visual and tangible inspection but it is impossible for the human eye or hand to discover moisture that is in between the layers of your commercial or industrial flat roof. We combine visual and tangible inspection with leading Thermographic Scanning Technology so that both seen and unseen moisture is detected. and any of your commercial industrial roofing needs! 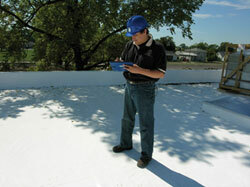 We can correctly identify your commercial or industrial flat roofs problem areas before they become larger. 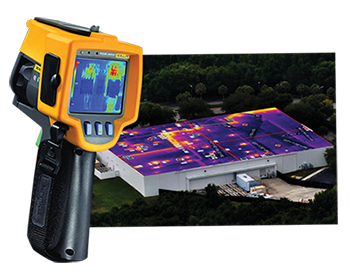 Our roof thermal scan services provide you with precise accuracy and supporting visual documentation ideal for maintenance reports. 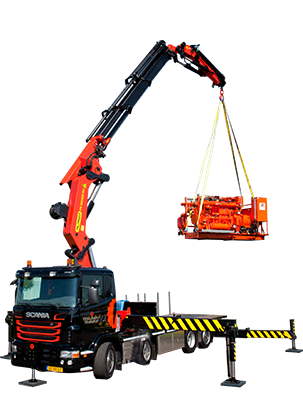 The equipment that is used – Thermographic Infrared Technology - is lightweight and easily movable and non-destructive. If you have had a commercial re-roof or flat roof repairs done and would like to check the quality of work, Roof Scan.ca can provide this service. Roof Scan.ca is conscious of the environment. From the paper we recycle to the services we provide on your roof, we are aware of our carbon footprint and constantly strive to keep it as small as possible. We believe in maintaining competitive pricing for high quality services and we are willing to consult with you to fit your individual needs and budget. 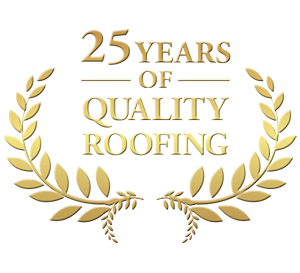 Many roofs have a warranty and we understand that you want to ensure that proper repairs and flat roof maintenance are done and covered before that warranty ends, we can help with that. We can provide a detailed scan of your flat roof with supporting documentation for you to ensure that your roof is repaired where it needs to be. Contact Roof Scan.ca for all of your commercial and industrial flat roofing needs. With high quality lasting services we will extend the life of your roof and save you thousands of dollars.